You’re ready to buy CBD oil, but there are a dozen different potencies available. 300 mg? 600 mg? 4000 mg!? Buying CBD oil shouldn’t be so confusing. With this guide, we’ll show you exactly what makes these potencies different, and give you the information you need to become an expert. And how you can apply this to choosing the best potency for what you need it for. We then get into the more advanced techniques of calculating the optimal CBD concentration for your weight and size. When browsing different brands, you’ll come across a lot of different strengths (potencies). You’ll find ranges from 300 mg to 4000mg per bottle. With so many CBD options to choose from it can make you feel like you have no idea what you’re even looking at. The labels are confusing and often times, don’t make any sense at all. The web is full of people asking similar questions. What’s the best potency for MS, fibromyalgia, pain, anxiety… the list goes on. There are so many factors involved with CBD potency it’s no wonder people are so confused. The condition you’re treating, the concentration of CBD, whether or not other cannabinoids and terpenes are also present, and how severe your symptoms are will all play a role in choosing how effective it’s going to be. Regardless of your final choice, keep in mind that CBD is not an FDA-approved drug in the United States and as such, this article should not be taken as a clinical claim or a medical recommendation. If you feel uncertain about picking the right strength of CBD oil and measuring the optimal dosage, consult your physician before the purchase. First of all, let’s clear something up. CBD potency specifically refers to how strong it is. If a CBD extract is rated at 300mg, it’s going to be about half as strong (potent) as the same amount of a CBD extract rated at 600mg CBD. These potencies also rely on the actual size of the bottle! The total CBD listed in mg refers to the dose contained IN THE ENTIRE BOTTLE. If you have a smaller bottle, the potency will increase. So 300 mg in a 15 mL bottle will be twice as potent as a 300 mg oil in a 30 mL bottle. We’ll clear this up in more detail later. Keep reading, you’ll be an expert by the time we get to the end. Why Are There different CBD Potencies? As we said, there are many different potencies, but most of the time, you’ll come across two or three main options to choose from. Needless to say, if you need CBD for regular supplementation or use it to deal with mild conditions, you won’t need CBD oil in high amounts. A stronger oil might even be overkill. Each of these potencies can come in a 15, 30, 50, or 60mL bottle. These are by far the most common, but there are also more potent 2000 mg and 4000 mg CBD options available too. It’s recommended that new users start with a low potency CBD oil. Of course, everybody’s chemistry is different, and what will work for one person might very well fail to deliver the desired effects for another not work for another. The main thing to remember is to start slow and observe your body’s reaction to CBD. This way, you’ll be able to see how much of the oil it actually takes to provide the relief you’re looking for. For example, you can start with a 1-3 mg dose, and increase it to a 3, 4, or 5 mg dose later if these aren’t working. If you’re not sure what we mean with these doses, keep reading, we’ll get to that later. The most important thing to remember when you buy CBD oil is to keep in mind that the bottle size matters. Well, let’s say we have a 600 mg CBD oil in a 15 mL bottle, and another 600 mg CBD oil in a 30 mL bottle, which one is stronger? The trick is to remember that the total CBD is distributed equally into the entire contents of the bottle, so the larger bottle will be roughly half as potent as the smaller bottle. There’s a simple calculation you can make to determine the strength of a CBD oil. Anything below 5 mg/mL (10%) is considered low strength. Anything between 15 and 30 mg/mL (15-30%) is medium strength. Anything between 30 and 60 (30-60%) is high strength. Anything else (60+%) is considered ultra-high strength or classified as a concentrate. Wondering how much CBD is in a serving of 300 mg (30 mL bottle)? Let’s use this as an example. This is like saying that 10% of the oil is pure CBD. It’s a 10% extract. This means that every mL of oil you take will deliver exactly 10 mg worth of CBD. For lots of people, though, even as little as 5-7 drops (about 3.5mg of Cannabidiol) can bring relief. Let’s get into the concepts behind small (300mg), medium (600 mg), and large (1000mg) dose CBD products. Most of the low potency CBD oil comes as 300mg in a 30mL bottle, which is a 10% potency. If you’re in the group of users who are particularly sensitive to CBD and other cannabinoids, you won’t require a strong oil to get the expected effects. The low-potency options are a good solution for people thinking of adding CBD oil to their supplementation plan. A single daily dose of CBD can boost immune health, improve homeostasis (balance), and shield you from a range of nervous and endocrine conditions. This potency is a good option for those who are looking to elevate their intake of CBD further. Many people taking this dose found little or no benefit from the smaller dose. If you notice that you need to take large and/or multiple doses of the 300 mg (30 mL) version to get results, it’s time to upgrade to something stronger. High potency CBD oil isn’t for everyone. This is a therapeutic grade potency, used mainly for treating specific medical conditions. If you notice that you need to take large and/or multiple doses of the medium strength CBD oils, it’s time to upgrade. 2000 mg of CBD in 30mL of oil will yield 66% CBD per mL. These products are thick and syrupy due to the high CBD concentration. They’re also referred to as concentrates because in order to make them manufacturers need to be extracted, and concentrated by removing other elements first. If you’re a first time user, don’t start with high potency CBD oil. Its effects are powerful and can have pharmaceutical-like effects in some people. They’re mostly used for serious medical conditions rather than for mild or even moderate levels of discomfort. It’s uncommon to find this potency in a bottle like the other options because it’s simply too thick. Instead, you can expect to find ultra-high potency products in a syringe application. Unless your symptoms are serious, you likely won’t have to think about using this ultra-high-potency oil. Stick to the low or medium potency range instead. It’s time we elaborated on a few simple tricks to help you calculate your dosage and choose the right strength of your CBD oil. It’s the evergreen rule for measuring the doses of most substances. People with less body mass need less CBD to experience its benefits, while larger people will require higher amounts of Cannabidiol to produce the same results. A good rule of thumb is to take between 1 and 6 mg of CBD for every 10 pounds of body weight. The low end is for fewer symptoms, the higher range is for more severe symptoms. a dose of 15 mg – 25 mg would be best for an individual who weighs 150 lbs, while a 200lb user will require somewhere between 20 mg and 33 mg to get started. As mentioned, these are only general figures and more likely than not, you will have to go through some trial-and-error before you reach the sweet spot. Let’s say you have a friend who weighs no more than 150 lbs and takes 50mg of CBD twice daily, which gets him/her satisfying results. Like we mentioned, we all have different biochemistry. We also all have different patterns of medication use, supplements, and other substances, each of with could interact differently with your CBD . Even if you know the approximate dosage based on your body mass, you’ll need to experiment to see how your body reacts to different concentrations of Cannabidiol. From here we can adjust the dose accordingly until you know exactly how it’s working. As much as we love to guide people on different aspects of CBD, we’re not in a position to give you medical advice. The best way to know whether you need a low, medium or high potency CBD oil is to make an appointment with an experienced physician who knows CBD and can provide you with a professional CBD dosage guideline for your case. You don’t have to be an industry expert to notice that CBD oil is not the only way to consume Cannabidiol. With that being said, you’re probably wondering how to measure your CBD dosage if you’re taking capsules or vaping flowers/concentrates/e-liquids. CBD tinctures are by far the most popular way of consuming CBD. It’s also pretty simple; all you have to do is fill the dropper, place a few drops beneath the tongue, then hold it there for up to 90 seconds, and swallow. But the question is: how much CBD is actually in a dropper? Typically, a dropper has enough space to hold 1 ml of liquid. For most droppers, this will be about 40 individual drops. The first step is to do our calculation from above to determine how much CBD there is in mg/mL. Here’s a reminder of the formula in case you forgot. For example, let’s say you’ve just bought a 30ml CBD tincture that has 300 mg of CBD. If a dropper holds 1mL of liquid, you can see that you’re getting 10mg of CBD with every full dropper (around 40 drops). So, if you need to take 5 mg of CBD, and a single dropper of that 300 mg tincture holds 10 mg, simply fill the dropper halfway; simple, right? (Since we know a mL is about 40 drops, we can also just count out 20 drops). Let’s say you have a 600 mg CBD oil, in a 15 mL bottle. Now let’s say we wanted a dose of 80 mg.
We need to take 2 dropperfuls to get that dose since one full dropper will have 40 mg of CBD. Although this is not a surefire method, it is still better than shooting blinds. CBD can be vaped in two ways: either with a CBD e-liquid or by using a CBD cartridge system. Both methods are pretty straightforward and enjoyable. Just like with a tincture, using an e-liquid to vape CBD boils down to estimating how much CBD a dropper can hold. Once you figure this out, you know how much CBD you are loading into your device. Most people vape their daily CBD dose throughout the day, so if you suddenly run out of CBD in your cartridge, it’s a sign that you should puff the vapor in slower intervals. A single tank can contain approximately 33.33 mg of CBD if you are using a 1000 mg bottle. Thus, the tank should last you for the entire day, leaving some CBD for the next session until you have to refill your device. When vaping CBD, regular monitoring is of the essence. This way, you will be able to control your CBD intake more accurately. Now, if you’re wondering if there is a 100% accurate method to take CBD, the answer is a loud YES; these are CBD capsules. Because encapsulated CBD contains a fixed dose of the compound, they allow you to dose it precisely. Let’s say your CBD dosage is 50 mg. In order to meet these numbers, simply buy a bottle of 25 mg capsules and take one piece twice daily; you will be good to go. Besides, what could be easier than swallowing a flavorless CBD capsule with water? 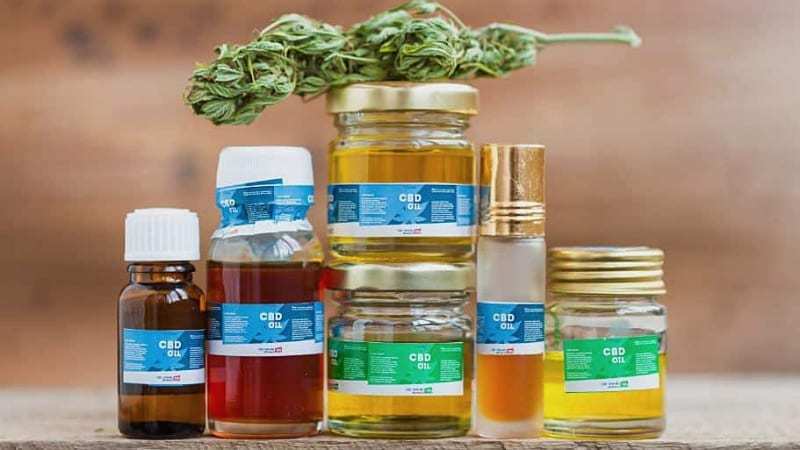 With the abundance of CBD-infused products and different strengths/potencies available on the market, choosing the right option for your situation can become challenging at the best of times. There’s a lot of information about dosing CBD out there, but without breaking this down into its smaller parts, you’re going to remain confused and frustrated forever. We hope our guide on CBD potency will help you make the right decision when buying and measuring your CBD dosage. With by practicing the calculations listed in this guide you can quickly become a wiz at dosing different strengths of CBD for yourself. If you have any questions regarding the dosage and available potencies, feel free to leave a comment below. Bergamaschi M. M. et. al. Cannabidiol Reduces the Anxiety Induced by Stimulated Public Speaking in Treatment-Naive Social Phobia Patients. Neuropsychopharmacology (2011); 36(6): 1219-1226. Published Online 2011 Feb 9. Reiman A., Welty M., and Perry Solomon. Cannabis as a Substitute for Opioid-Based Pain Medication: Patient Self-Report. Cannabis and Cannabinoid Research, Vol. 2, No. 1. Published Online in 1 Jun 2017. Rong C, Carmona NE, Lee YL, Ragguett RM, Pan Z, Rosenblat JD, Subramaniapillai M, Shekotikhina M, Almatham F, Alageel A, Mansur R, Ho RC, McIntyre RS. Drug-drug interactions as a result of co-administering Δ(9)-THC and CBD with other psychotropic agents. Expert Opin Drug Saf. 2018 Jan;17(1):51-54.